I purchased a series of stamping plates a few months back on AliExpress from this Seller, (I think they are out of stock of these plates at the moment) and these plates don't have any kind backing on them, it's just the metal plate. While the plates aren't exactly sharp, they aren't that smooth around the edges, so I wanted a backing on them. After looking around online, I went to my local hardware store and found some acrylic sheeting, courtesy of two very nice associates who sold me a scrap piece. Then, I measured it according to the size I wanted for my plates, scored it with a sharp box cutter and glued them to my plates. The video will show you my first attempt at these. It got a little easier as I went along, though I decided to only do a few of my plates, and keep looking for other ideas. Happy New Year everyone! I hope you all had a wonderful and safe holiday season. 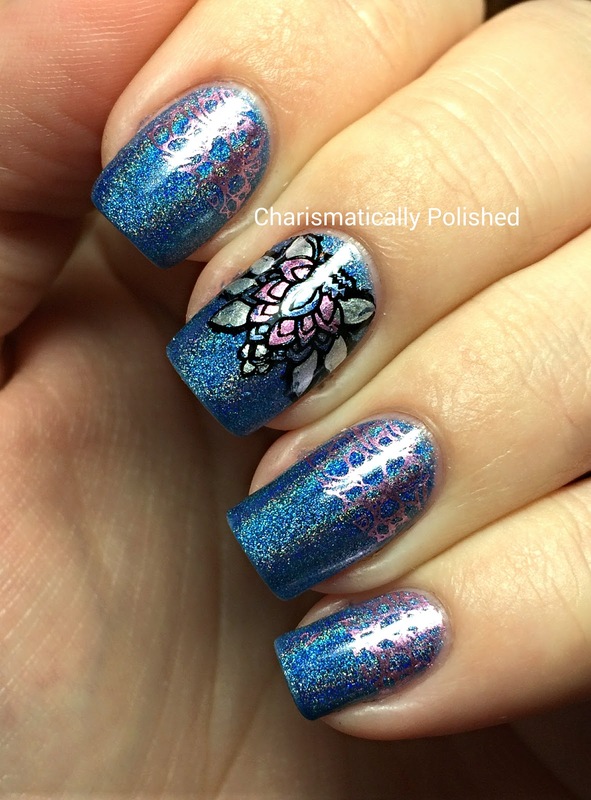 I've been drawn more and more into creating nail decals with my stamping plates, and have had a couple of semi-successful go's at it, but today I have a decal that I'm really happy with. My base is two regular coats of Different Dimensions The Lovers, The Dreamers, And Me with a top coat of Glisten&Glows HK Girl. Next, I used MoYou London's Mother Nature Plate 07 with Moon Nails Supply nail art stamping polish in black. Then I cleaned up the image a bit with some non-acetone polish and filled it in with Sally Hansen Color Foil polishes in Pink Platinum, Sterling Silver, and Leaden Lilac and applied a top coat while it was still on my stamper. I was really pleased how well this turned out, and these were my only tries! I can already tell I'm definitely going to get hooked on doing more decals. My next task is seeing if I can make them ahead of time and saving them for a future use. 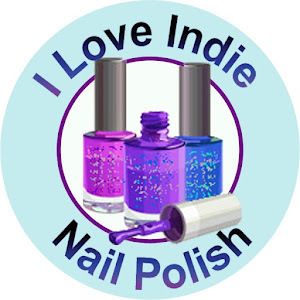 As a side note, I've submitted a few of my links to Random Nail Art which is an AWESOME site run by the every so lovely and sweet Alessandra of The Sparkle Queen. 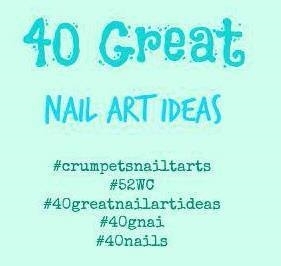 Her blog is very, very cool and if you have nail art you'd like to share, you should definitely check it out!